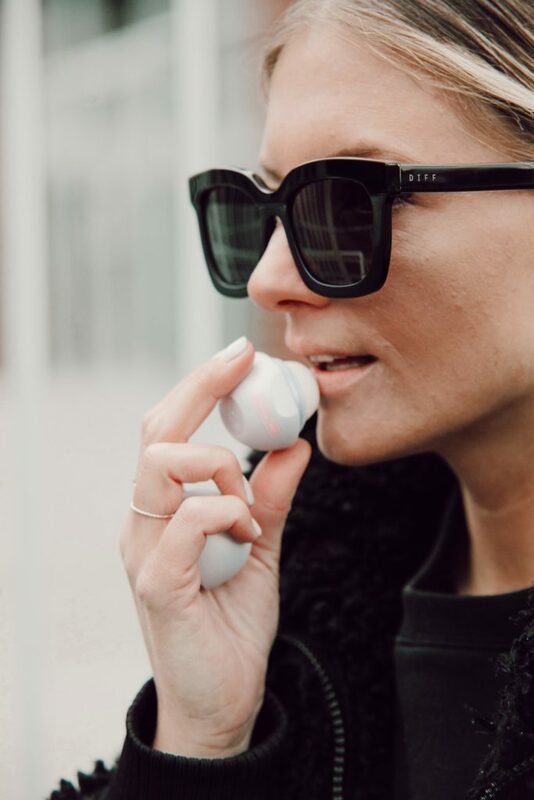 You guys know how much I love my eos lip balms – remember when I first met with their team in New York for the launch of the crystal balm? Well fast forward to now and I’m still religiously using their lip balms to keep my lips soft and hydrated everyday. Sure their packaging is fun, brightly coloured and cute but it’s more about the formula and how it’s made (and with what) that I’m interested in. Which is why I took note back when they first launched but also why this process and opportunity was so much fun. To put it simply, they just work. 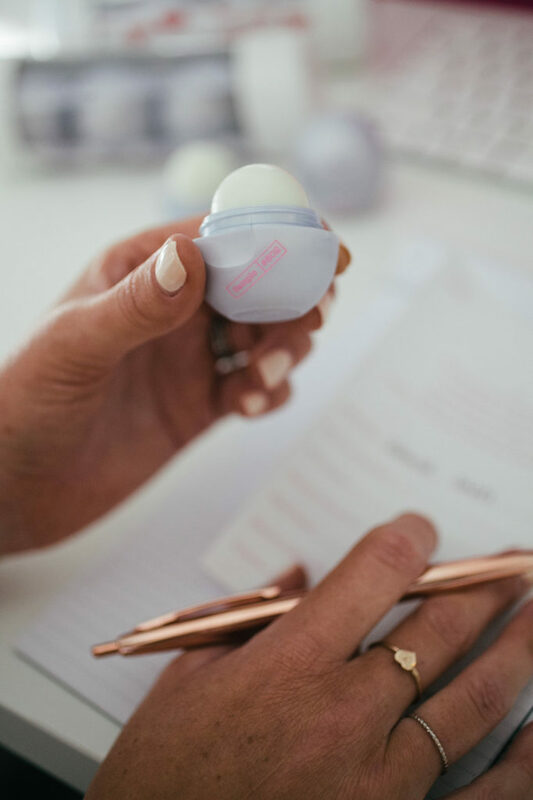 If you’ve ever tried eos lip balms you know that they are made 100% natural, paraben and petrolatum free. 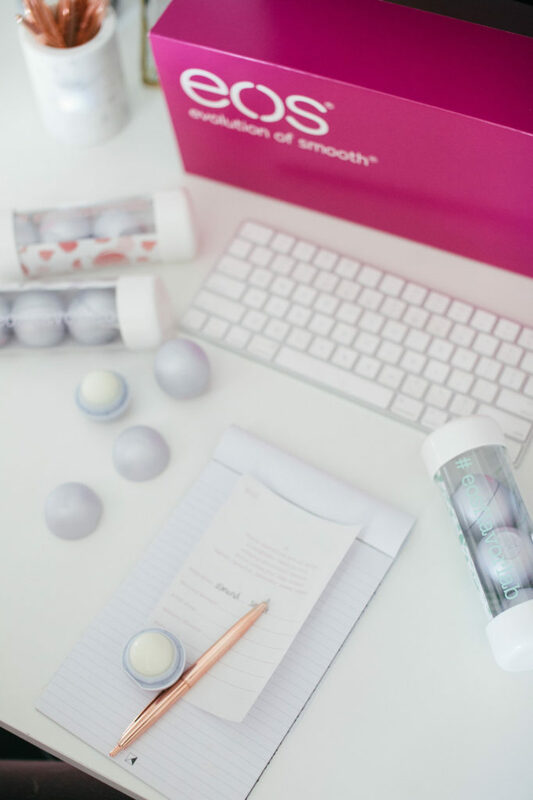 Packed with antioxidant-rich vitamin E, soothing shea butter and jojoba oil, keeping your lips soft and smooth all day. 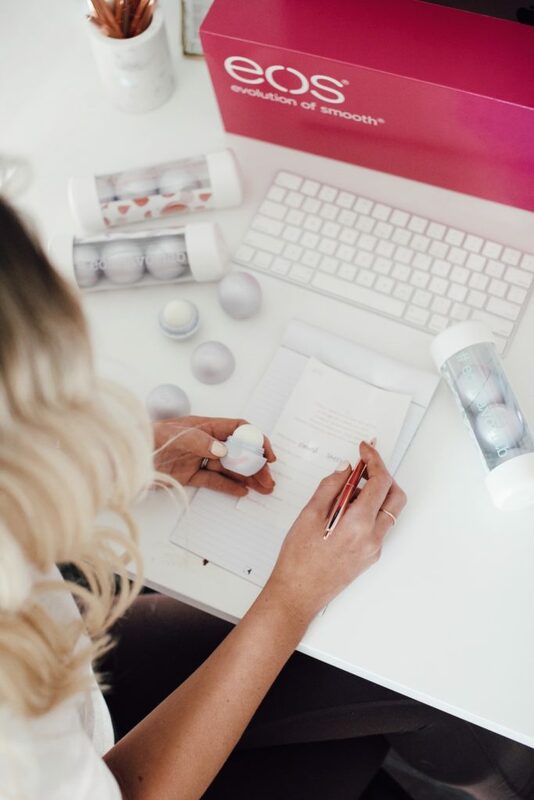 To jog your memory (since it’s been a while) I went to visit the eos Flavor Lab in New York again last summer to work closely with their team on product development for a new collection that will be launching in-stores this summer. Exciting!! It gave me a behind-the-scenes look at the creation process as a whole – from inception, to flavour development, scents and packaging and just how much goes into the products you see sitting on store shelves. We tested and mixed new flavour combinations from four main flavour profiles: some more botanical, others fruity, notes of floral and even some sweeter dessert-inspired ones. 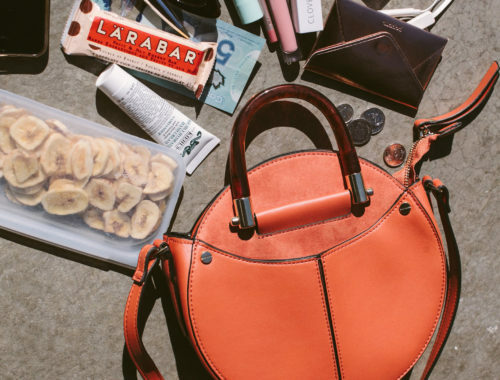 What lip balm flavours do you naturally gravitate towards? Not gonna lie, they smell incredible! I can’t wait to see which ones get chosen as the final product. 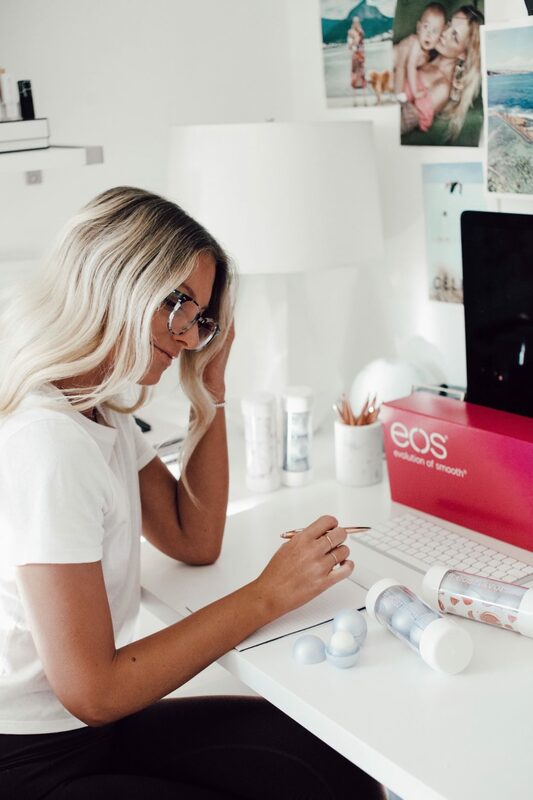 A couple weeks ago I received the (13) samples from the eos Flavor Lab and have been testing them out since, jotting down my notes & honest thoughts on each one, narrowing down my favourites and which of them I feel like you guys would LOVE. 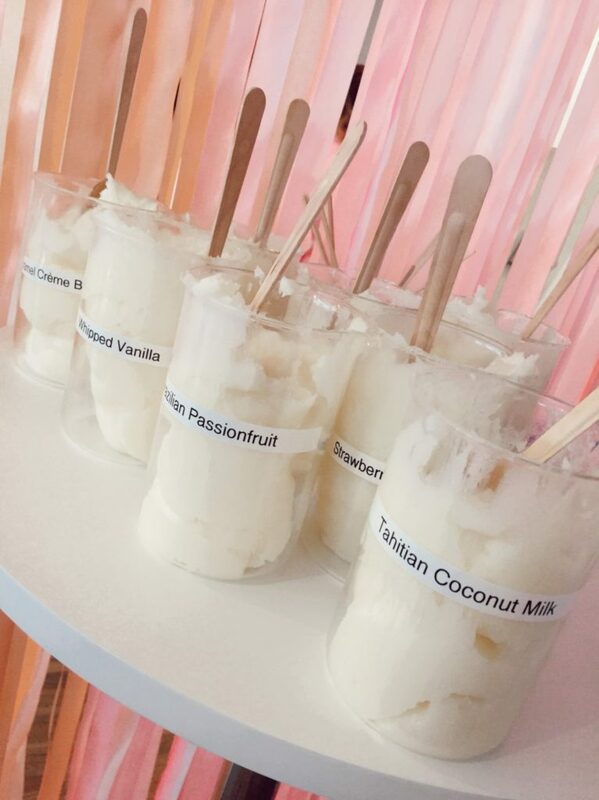 From the 13 samples, 4 final flavours will be chosen and those 4 are the balms that will be sold in-stores this summer. 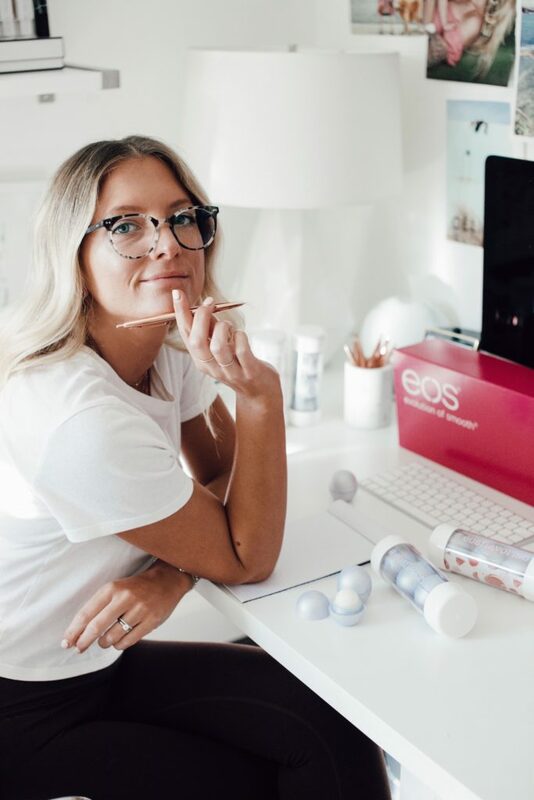 (If you can’t tell) I’m so excited to be working with eos on this launch and to have the opportunity to co-create this new collection. For a full recap of my last visit to the eos Flavor Lab, I saved my stories in a dedicated highlight labeled NYC X EOS. 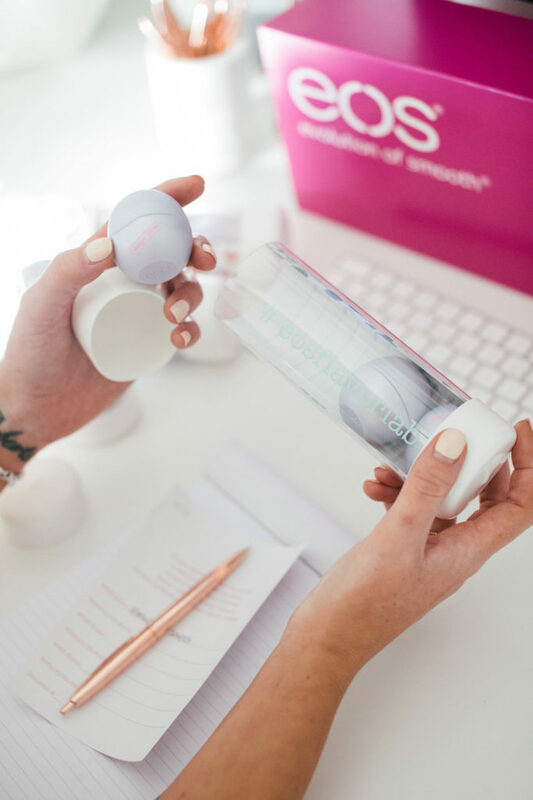 This post is in partnership with eos products. As always, all opinions are my own.